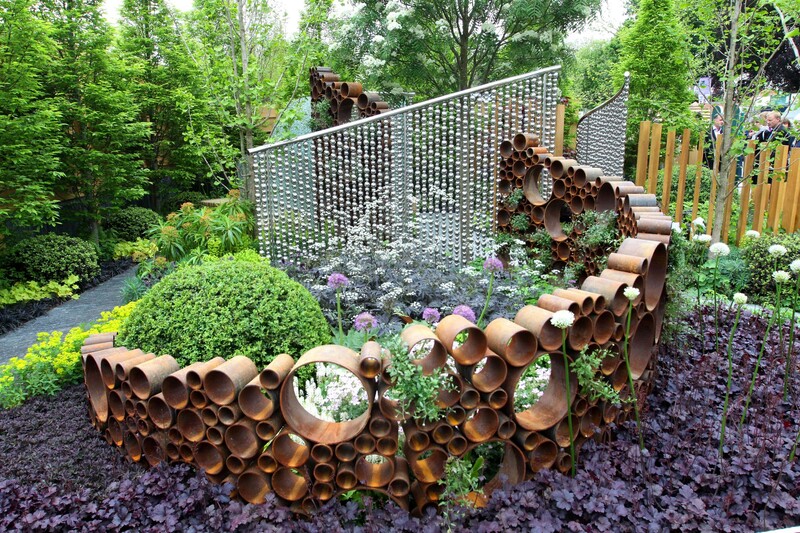 This our first Chelsea Garden, sought to illustrate the varied obstacles experienced by people with visual impairments. The design was built around bold architectural shapes that created excitement and intrigue. The planting consisted of brightly coloured groups with strong contrasting colours, framed by a boundary of fastigiata Hornbeam. 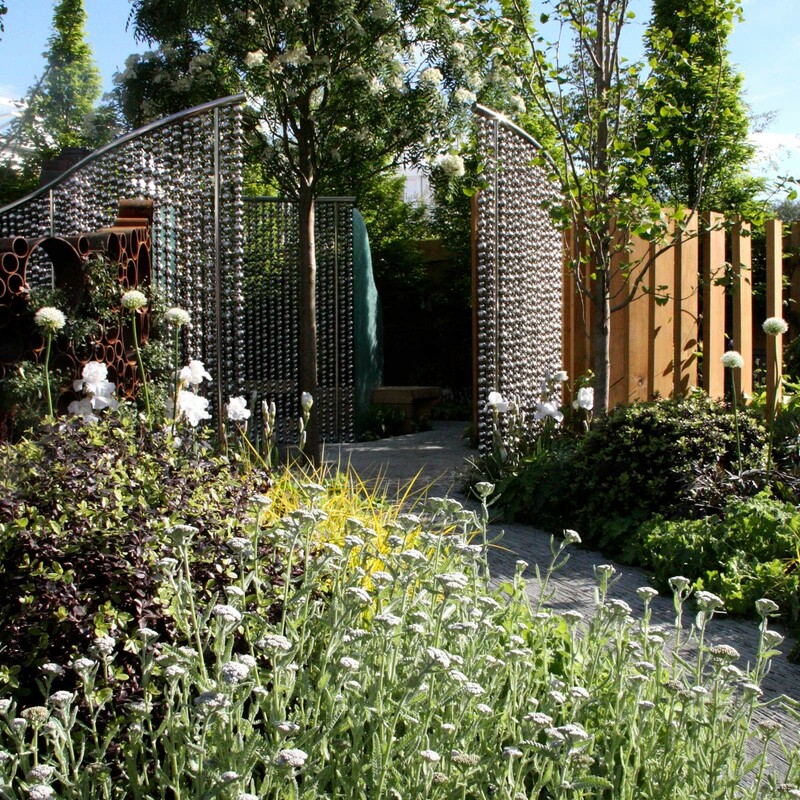 The sponsor of the garden was Coutts who have a world wide reputation for private banking and wealth management. 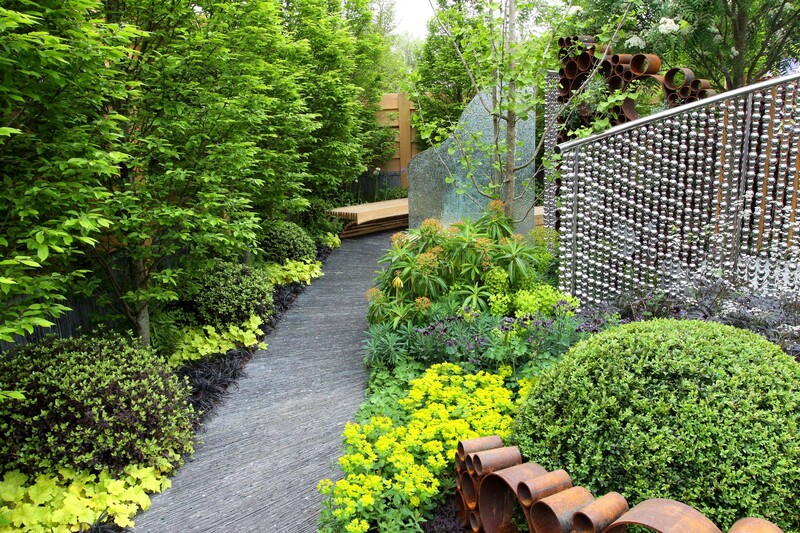 The centre piece of the garden was a water feature made of thousands of polished stainless steel balls which hung as a curtain, over which water slowly fell emphasising, shape texture light and dark. 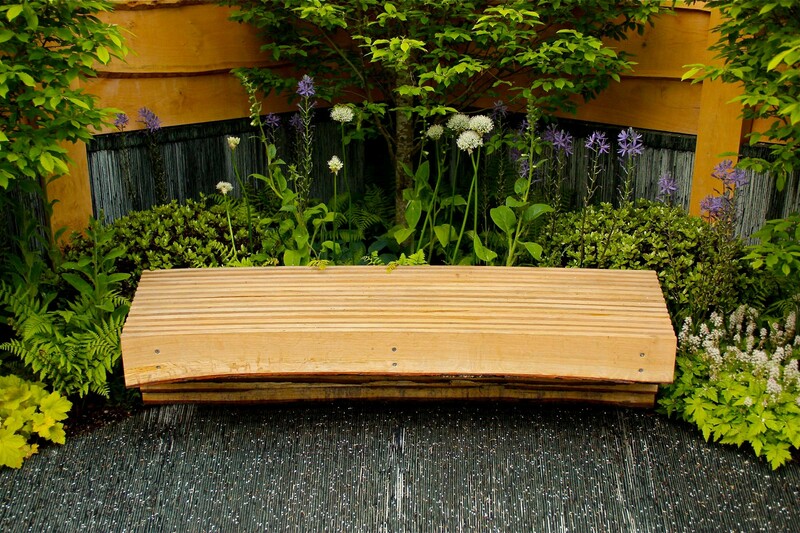 The garden featured textured slate pathways and we worked alongside local craftsmen to create gently curved oak benches. 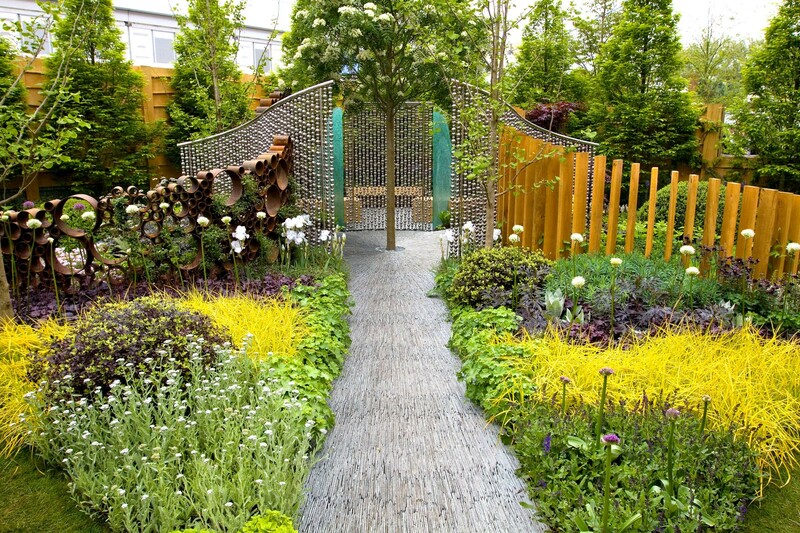 The garden was for SeeAbilitywho provide extraordinary support and eye care for people with learning disabilities and autism.